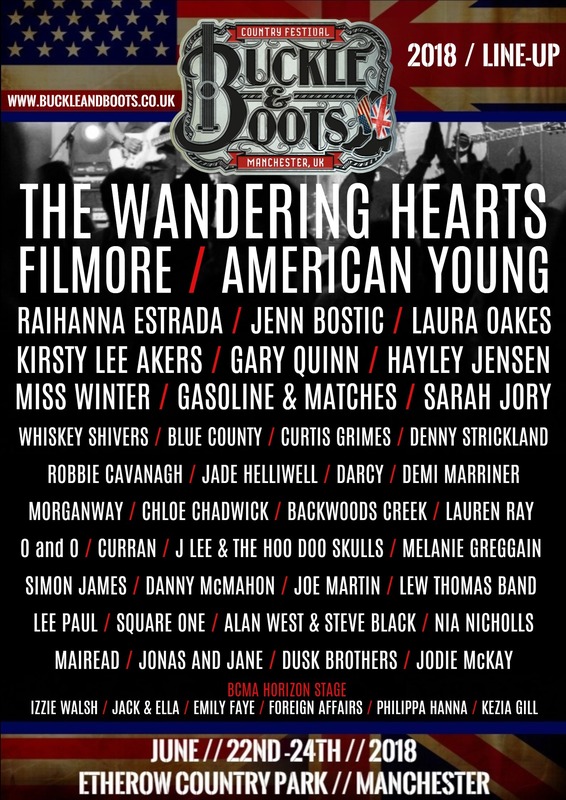 Buckle and Boots has fast become one of the most popular music festivals for UK country music fans to go. 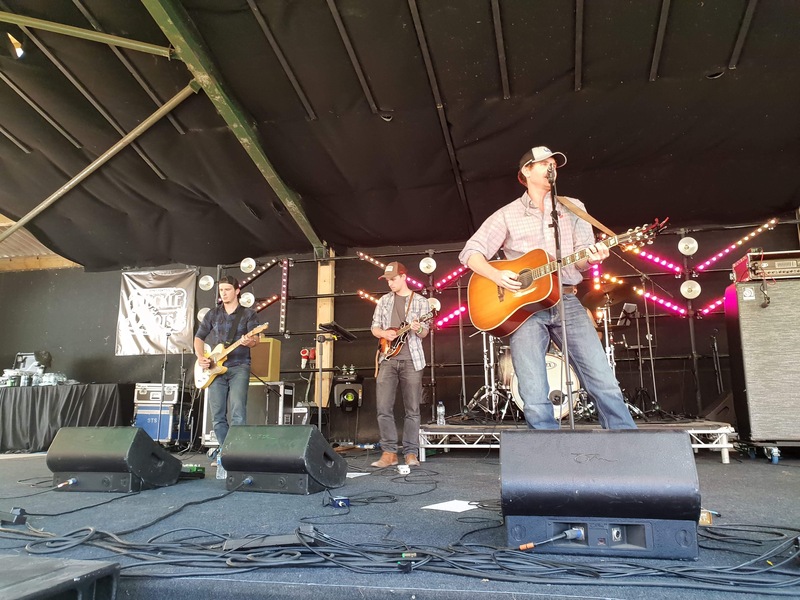 Focusing mostly on the UK side of country, Buckle and Boots has opened its farm gates to world country music inviting guests from the US, Australia and beyond. 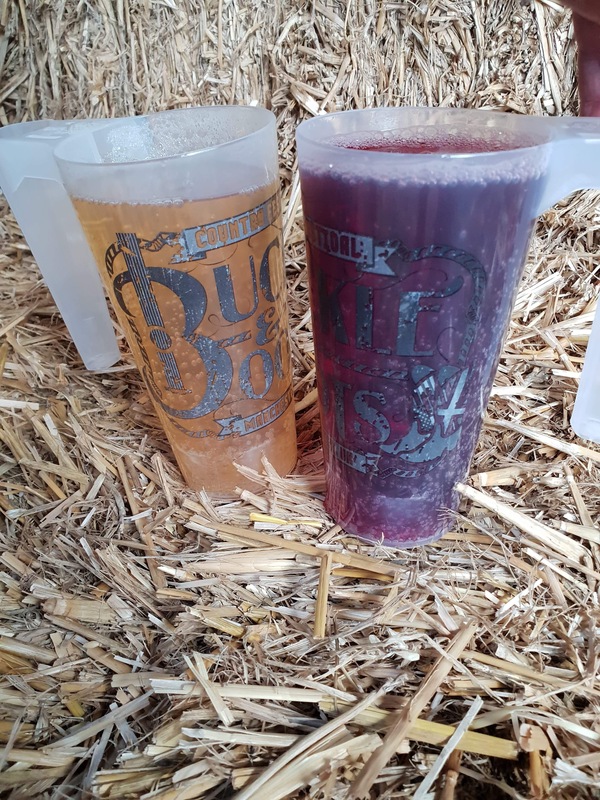 Only on its third year, Buckle and Boots takes place at Whitebottom Farm in Stockport and is just about as intimate as a festival can be bringing fans and artists together for music, dancing, laughter and of course a bit of booze. One of the things this very special festival can boast is its atmosphere. Going alone? No problem, the country family have your back and before you know it you are planning the next event together. Another thing the festival has been praised for is its lack of portaloo’s but proper toilets, showers and plug sockets. Yay, I don’t know about you but for me toilets can be a deal breaker. 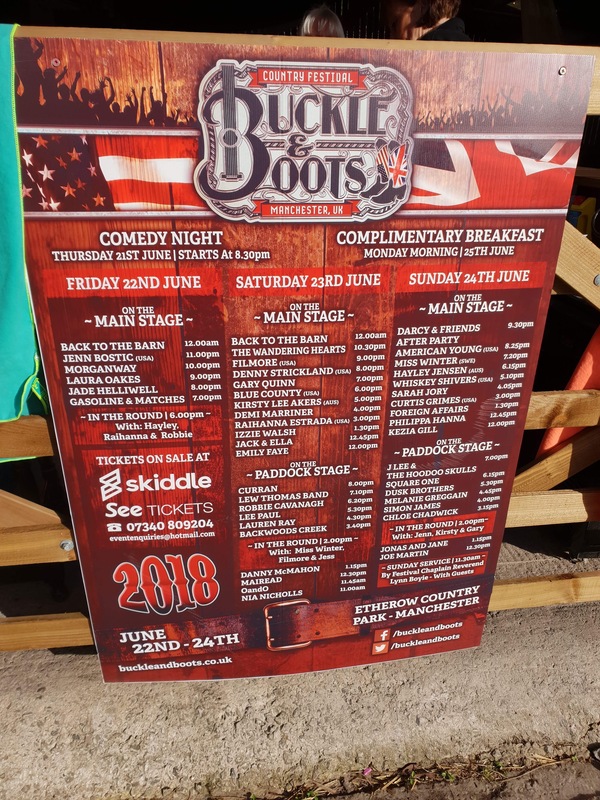 Kayleigh Lewinton and Scott Tomlins share their experience of this years Buckle and Boots and from what they have said, I think they are Buckle and Booters for life. We arrived on Thursday afternoon around half past three to a busy field of tents being put up ahead of the festival which kicked off friday evening. Later on that evening, for us early birds who arrived a day early, we were treated to a free comedy night featuring four local acts not necessarily to our taste but were reasonabally funny none the less and made it a fun night. 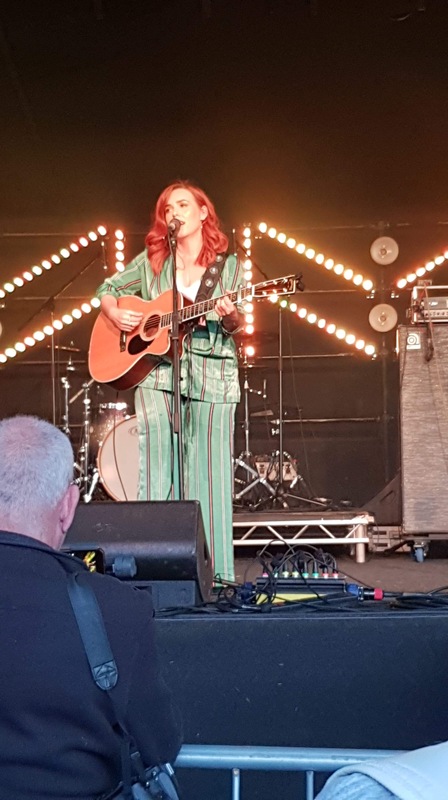 Friday saw burst of arrivals as the festival kicked off for the year starting with a special “In The Round” songwriters set featuring Robbie Cavanagh, Raihanna Estrada and Hayley Jensen who started the evening of with style. Following their set were Gasoline and Matches – a band who are certainly ones to watch in the country scene as they continue to get better and better capturing the crowd with all their songs especially the new single Never Have I Ever. Impressive displays from the lovely Laura Oakes came next closely followed by Jade Helliwell and Morganway before a powerfully brilliant headline set from fan favourite Jenn Bostic who wowed the crowd with her voice and keyboard skills. Jenn is another name to look out for in the future. The live event closed at 11pm ahead of the afterparty and we called it a night. 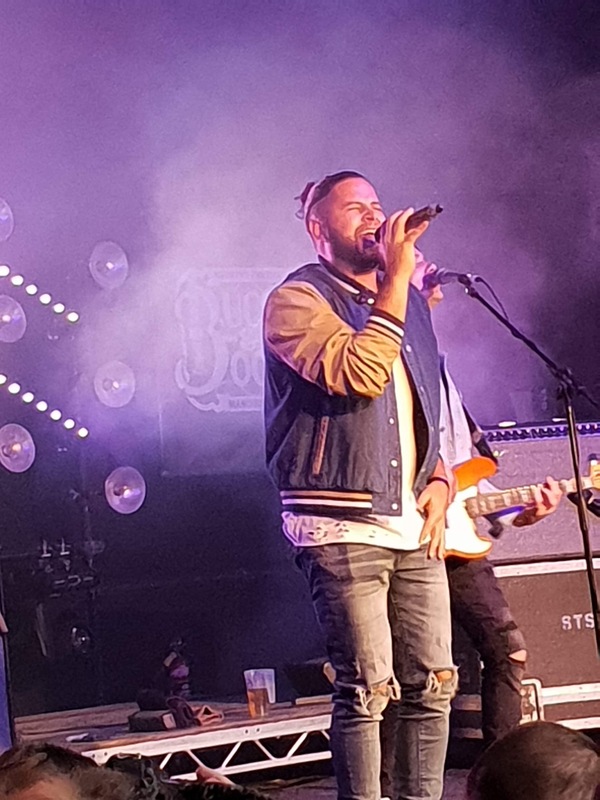 Saturday saw the second stage at Buckles and Boots open up which took place in a big circus like tent a couple hundred yards away from the main stage. The stage was opened by the brilliantly talented Backwoods Creek who gave it everything they had throughout their performance. 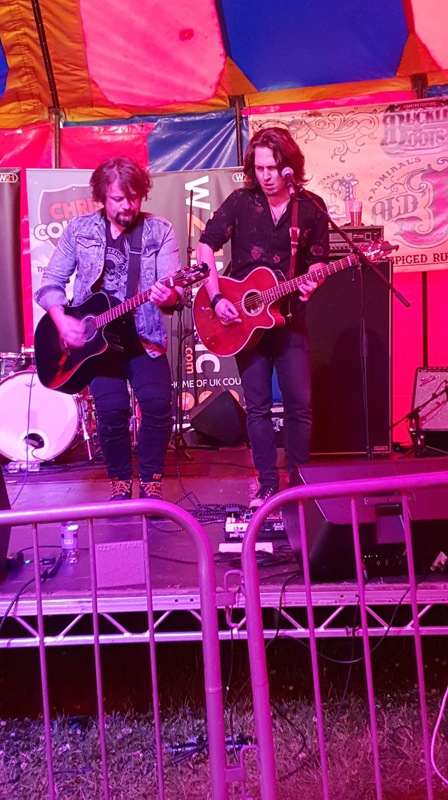 Other acts such as Lauren Ray, Lee Paul and his band The Wild Ones gave us a good showing before headline act Curran finished the evening in style performing all the hits and a few new ones to there oldest fans and youngest. Back on the main stage we saw performances from artists such as Emily Faye , Jack and Ella and the very impressive Izzie Walsh and her band. All these artists proved they have bright futures ahead of them with their brilliant performances. The live shows continued with long serving and an organiser of the event Gary Quinn who gave us a taste of his brilliant and fun British country hits before an American rush of acts took to stage featuring Denny Strickland and new comer Filmore who blew everyone away with his up beat songs and excellent covers of Stand By Me and Mr Brightside. A massive group picture of him and the crowd was taken for his mum who sadly couldn’t come over but wanted to see loads of pictures and videos of her son via the Buckle and Boots attendees page on Facebook. After a fun filled day, the evening ended with headline act The Wandering Hearts who were loved by the audience not so much our taste. However, The Wandering Hearts are a BOON favourite. This time (Saturday) we stayed for the after party where we saw both Filmore and US duo American Young’s Jon Stone get on the bar and have a sing along with everyone, this is the level of closeness you get at Buckle and Boots and later on Yannik from Backwoods Creek gave a camp fire guitar performance which overall gave the country festival feel to the evening. The final day on Sunday started with a small church service in the paddock stage from the vicar with a poignant display of music from Jenn Bostic. The service connected with the attendees leaving a few very emotional as it ended. 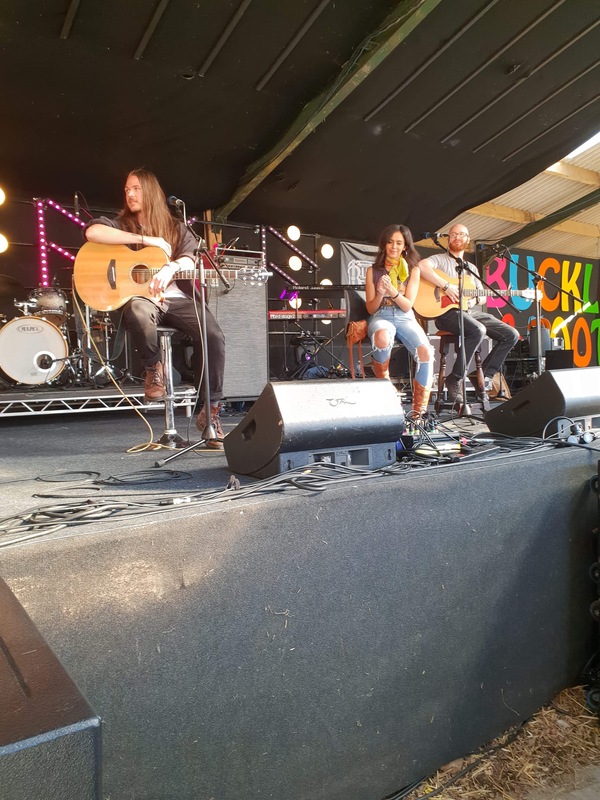 Later on the Paddock stage kicked of with another “In The Round” songwriters set, this time featuring Gary Quinn, Jenn Bostic and australian artist Kirsty Lee Akers who blew everyone away in paticular with her special song dedicated to a young girl who lost her fight to cancer. On the main stage the talented Kezia Gill started off the day followed by some surprisingly good acts. The first was american star Curtis Grimes with his makeshift band Backwoods Creek. Curtis is a very talented artist with great songs that touch on his religous beliefs and he blew everyone away including us. Following Curtis was Sarah Jory who again, blew everyone away with her guitar skills and powerful voice. Sarah was followed by a good party feel performance from Whiskey Shivers. The evening and festival was closed by the amazing American Young who as always , were entertaining and fun. Kristy who makes up one half of American Young, blew everyone away with her fiddle skills and voice. Sadly, after that we had to call it a night as we had a train to catch. We heard so many good things about the after party which featured the likes of Darcy and friends and we were gutted not to have stayed the extra night but there is always next year! All in all we had a very good weekend. We met some new friends and hung out with some old ones. The only downside was that where it was boiling hot during the day it was below freezing at night and we found it hard to settle, as did alot of people but hey, that’s camping for you. We would personally like to thank the Handcocks and everyone else who helped organize this weekend. We can’t wait to return next year. We just need to bring more blankets next time.